Tree Of Savior - Spiritual Successor Of Ragnarok Online - KABALYERO - PLAY, BLOG & EARN! 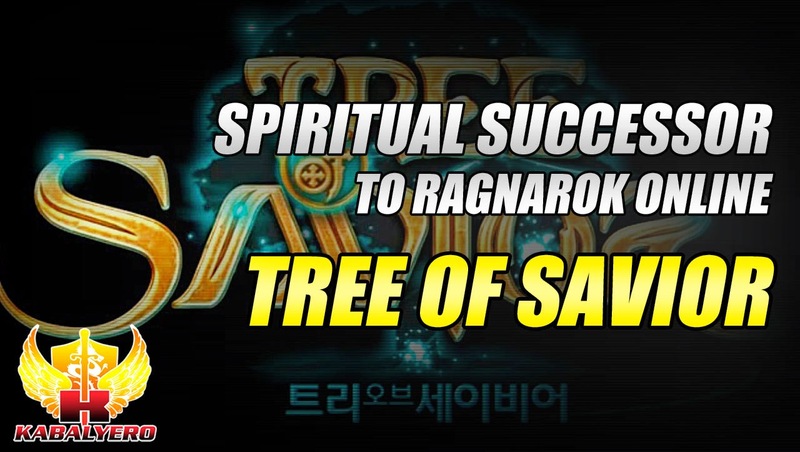 Tree Of Saviour, a Spiritual Successor of the first Ragnarok Online game. Ragnarok Online was my very first MMORPG and I was addicted to it because it was a really amazing game at that time. I spent hundreds of hours and money playing it. Now, a so called Spiritual Successor to the first Ragnarok Online is currently, if I'm not mistaken, in Close Beta Testing in Korea. I have not yet played Tree Of Savior but I have watched a lot of videos of it in YouTube and, from what I have seen from those videos in YouTube, Tree Of Savior does look and feel very much like the first Ragnarok Online. If you are a former Ragnarok Online player looking for a game that is somewhat similar to the original but with better look and feel then check out Tree Of Savior in YouTube. Now, according to the Tree Of Savior Blog, Tree Of Savior will be published in various countries through local game publishers. Hopefully, a local Philippine game publisher will pick this up because I'm really interested in playing it. Anyway guys, if you are looking for more information about Tree Of Savior then check out the links in the description of the video below. Now, if you wish to receive updates when new posts are made then simply follow me in Twitter or in Facebook. You can also help me grow by sharing this post to your friends.